Dr. Judy Olson is professor of geography at the Michigan State University at East Lansing. Dr. Olson received her B.A., M.A. and Ph.D. from the University of Wisconsin. After graduating from Wisconsin, she has held academic positions at the University of Georgia, Boston University, and more recently Michigan State University. Dr. Olson’s seminal research has focused on cartographic communication, design and symbolization. Her early projects included the improvement of dot mapping techniques, and a focus on the cognitive aspects of cartography. More recently, Dr. Olson’s research has looked at colour theory and use on maps, including the design of maps for persons who are colour blind. At all of her teaching positions, she has educated some of the very best and brightest graduated students. Dr. Olson’s professional service to the profession of cartography has been nothing short of exceptional. She has served as Associate Editor and Editor of the journal The American Cartographer, now Cartography and Geographic Information Science, President of the Association of American Geographers, Chair of the AAG’s Cartography Specialty Group, and Chair of the Geography Department at Michigan State University. For many years she served as chair of the US National committee for ICA. She served as Vice President of the International Cartographic Association (1992-1999). She took over this position at short notice after the unfortunate premature death of Barbara Petchenik. As Vice President she had many proactive contributions and involvement in running the EC business and played a leading role in organising commission chair and national delegates meetings. 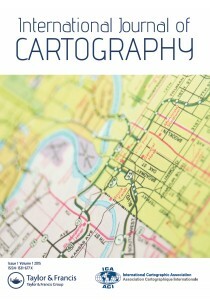 In the commission on theory of cartography she contributed to the redefinition of cartography.